Returned from a fun time at the Independent Creators Expo (I.C.E.!) in Dayton, OH! 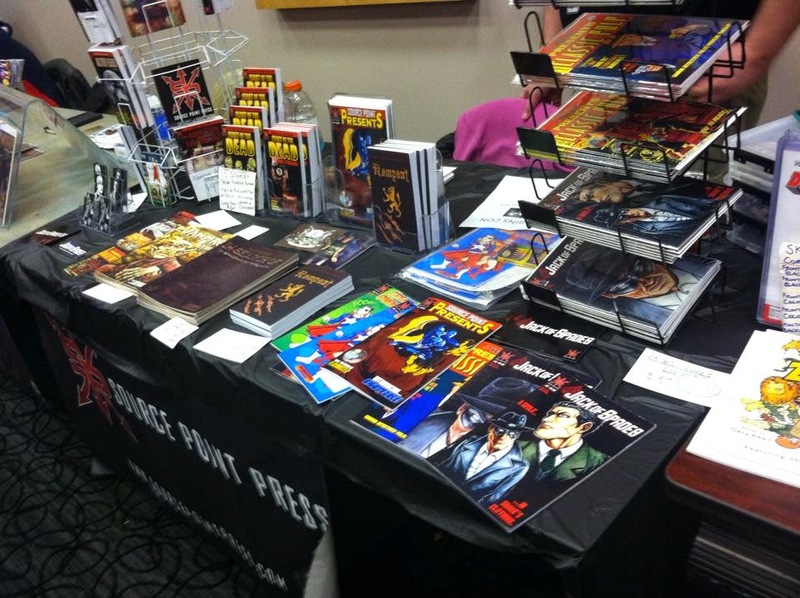 I rocked the Source Point Press booth with Bre and also writer, editor, friend, and the man with a plan: Trico J. Lutkins! 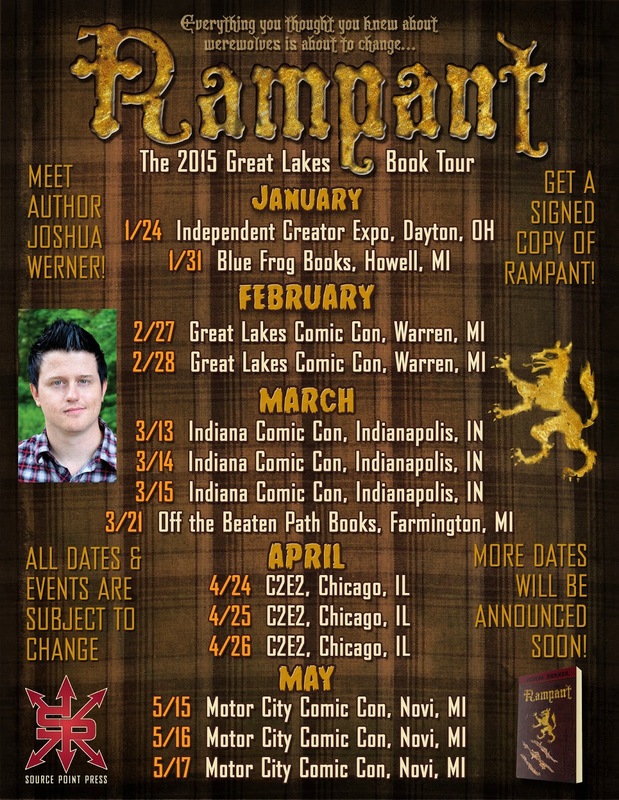 This was also the first stop on my Great Lakes Book Tour for my newest book "Rampant." 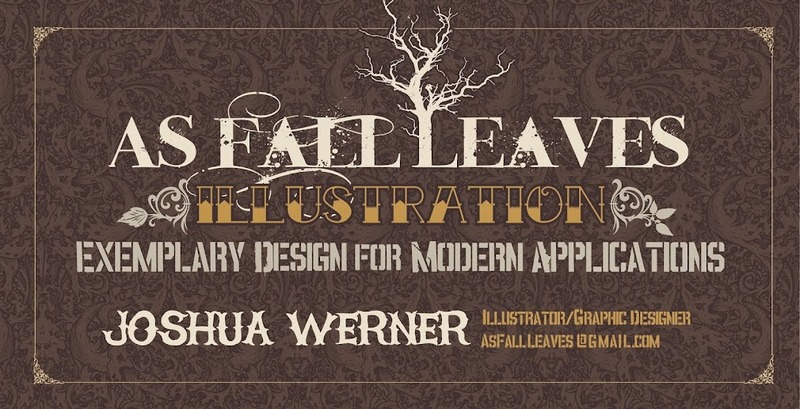 I'll be doing signings for this book all across Michigan, Ohio, Indiana, and Illinois. 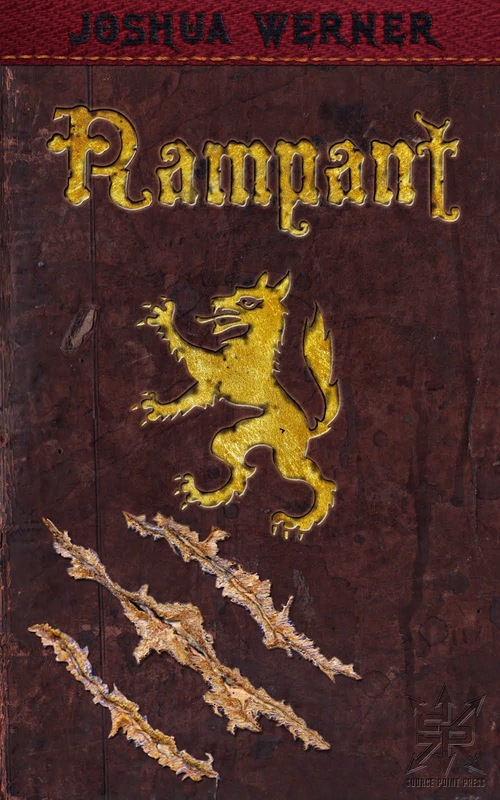 It's the most incredible feeling in the world to meet people who enjoy what I've been working on, and I'm super excited for everyone to check out Rampant, which I am very proud of. And it was nominated for a "Best of 2014" Horror award, thank you so much to everyone who voted for it! I didn't win, but I sure ranked higher in the polls than I ever would've imagined. I'm so glad everyone's enjoying the book so much, you guys rock! If you haven't had the chance to read it and are interested in a gothic horror werewolf tale set in the 18th century Swiss Confederacy, done in a classic horror movie style, with direct tie-ins to Mary Shelley's "Frankenstein", you can order your copy on Amazon or the Source Point Press Storenvy. I.C.E. 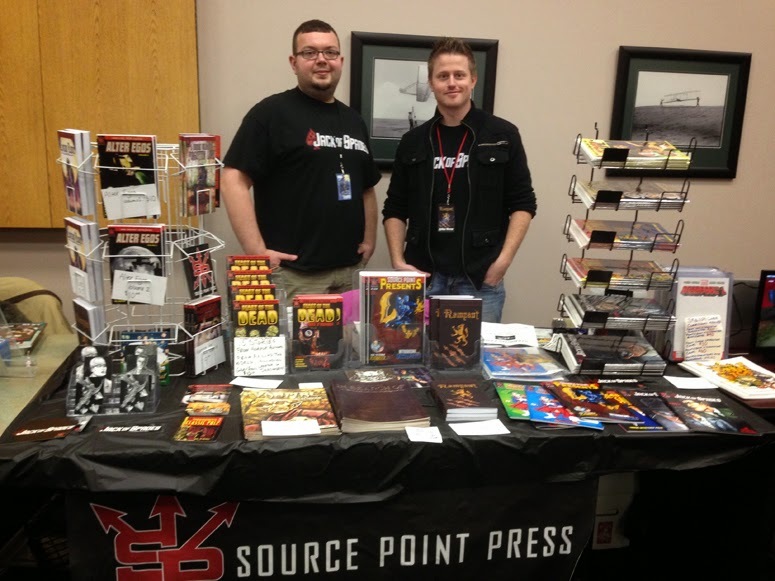 was also one of the first places we were able to show off some brand new Source Point Comics that came out that same week, Serial #2 and Source Point Presents #1! 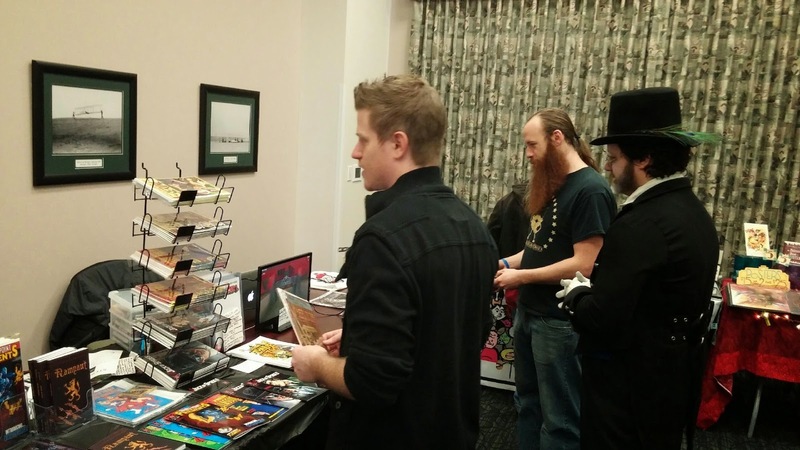 While I was at the expo in Dayton I also manned a small booth for MindFrost Solutions and their awesome iOS App videogame, "Zombie Rush: Riot!" This game has a very cool storyline written by Eric Roman, which is told in a motion comic that can be unlocked in the game, and I was one of the artists to illustrate some of that story. 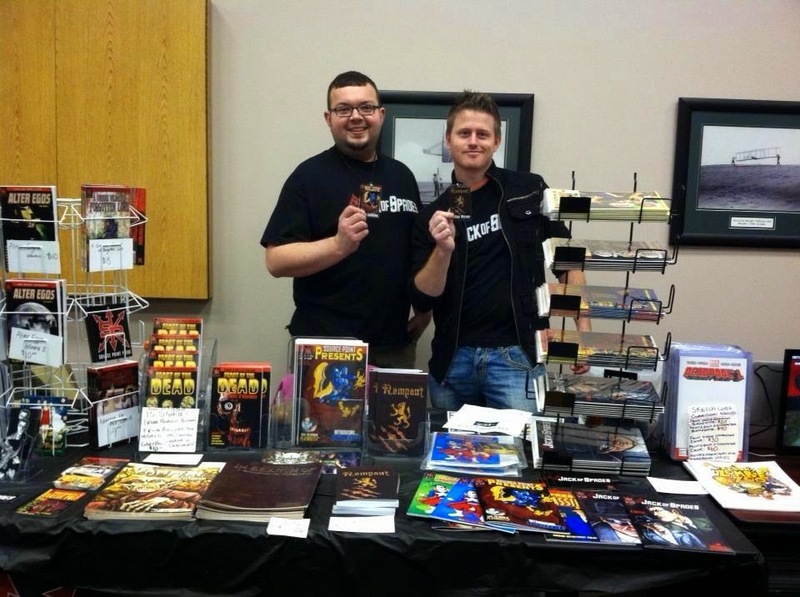 I'm also working with both MindFrost and Source Point to release a graphic novel of the Zombie Rush Riot story later on this year. For I.C.E. 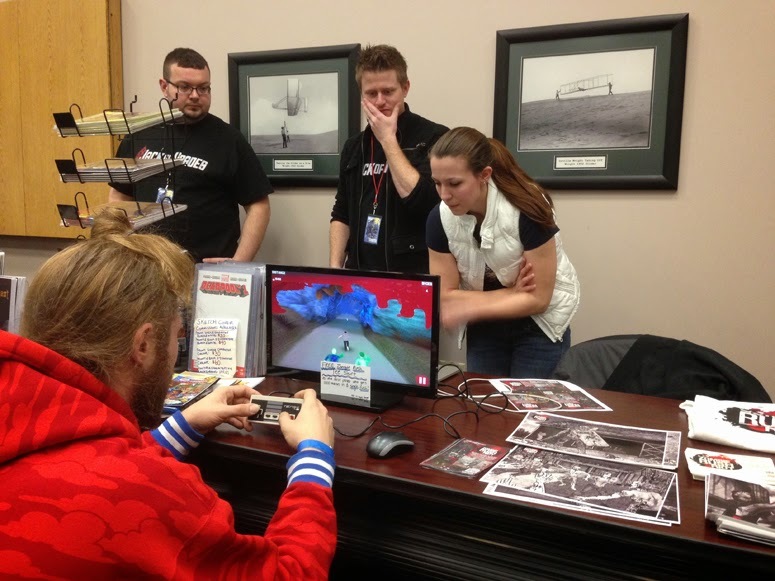 I asked the game designers to create a special version that I could use on my laptop, with key strokes emulating iPad/iPhone swipes, then I hooked my laptop up to a TV, and I programmed an old school NES-style controller to emulate the keystrokes, so people attending the show could try out the game with a controller. Everyone had a blast, and we held a contest to see which person would be the first to run 1,000 meters in a single rush. 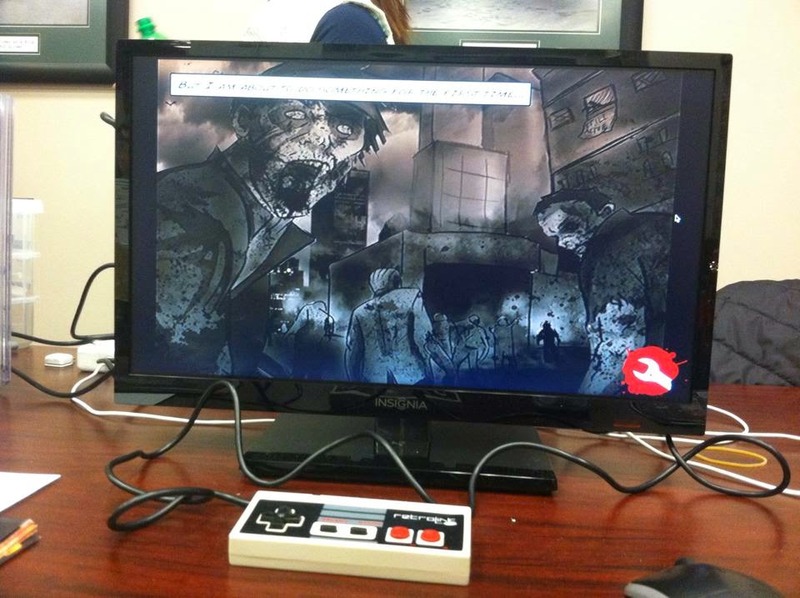 Dan Navas was the first one to do it, and he won a Zombie Rush Riot t-shirt as a prize, courtesy of MindFrost Solutions. Photo courtesy of ComicRelated.com Click here to check out their photo coverage of ICE! 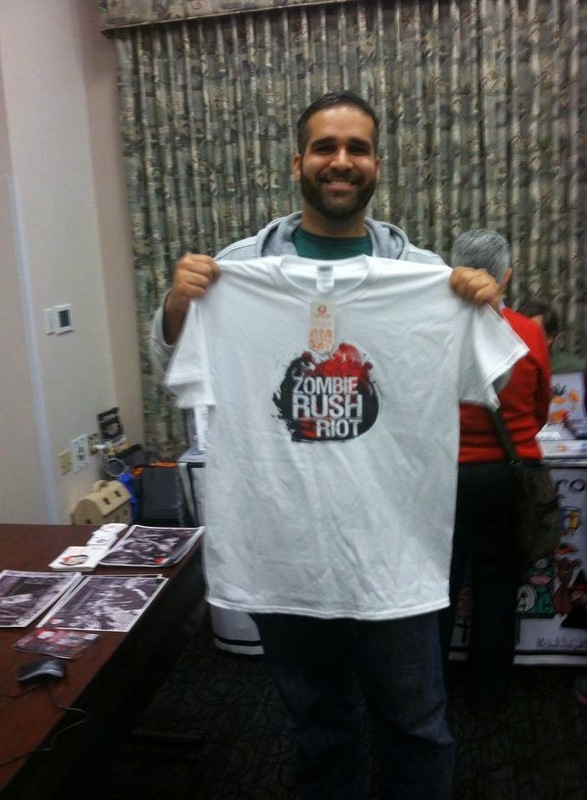 Here's Dan Navas, the winner of the Zombie Rush: Riot contest with the shirt he won! For week 5 of the Michigan Comics Collective weekly sketch challenge, a Power Rangers theme was chosen. 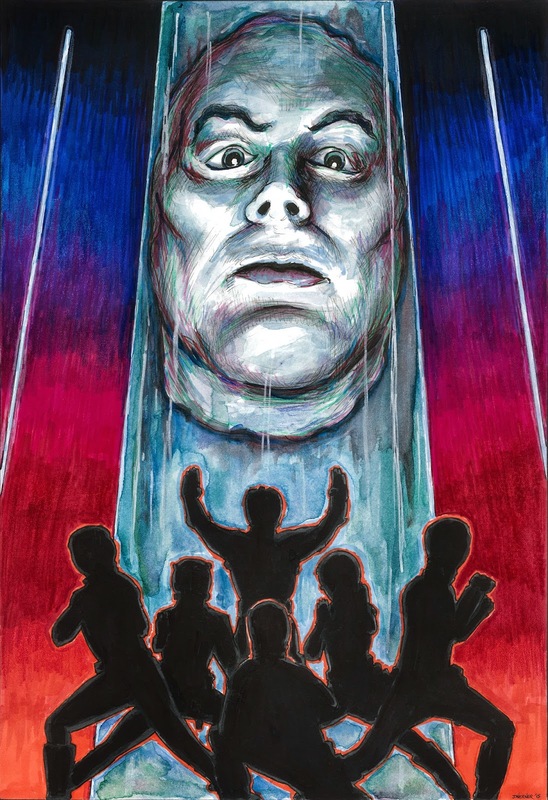 I decided to focus on Zordon from Mighty Morphin Power Rangers, to pay tribute to my friend David J. Fielding. Here is what i whipped up for it. For week 4 of the Michigan Comics Collective weekly sketch challenge, I got to choose the character all the members draw. 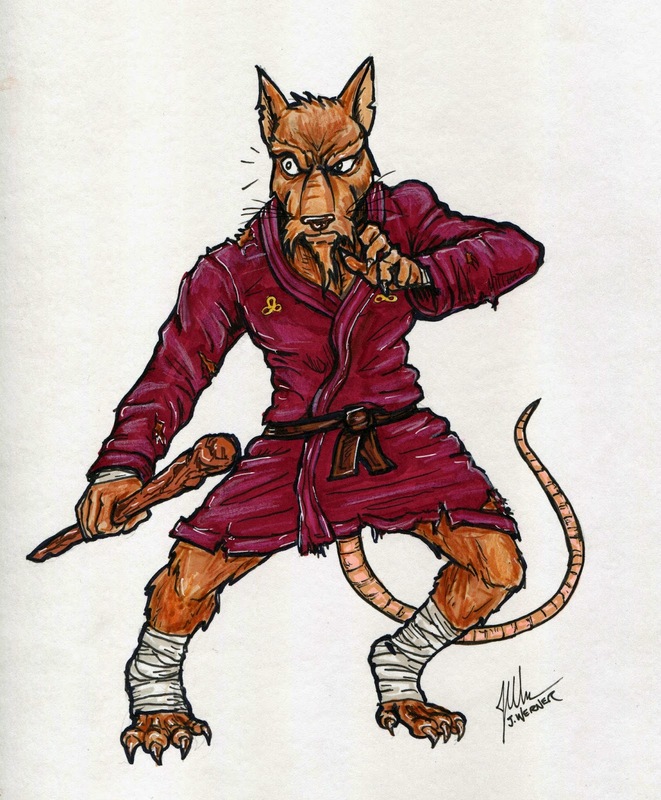 I chose Splinter. Here's the sketch I whipped up for it. 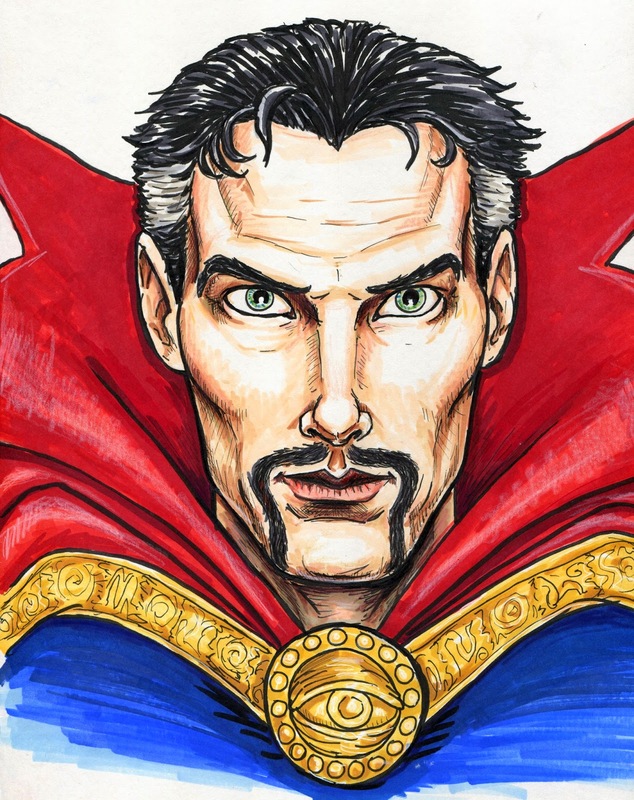 For week 3 of the Michigan Comics Collective weekly sketch challenge, the character chosen was Doctor Strange. I decided to go with a Benedict Cumberbatch look for my sketch. Here it is. The Michigan Comics Collective has been holding a weekly sketch challenge. 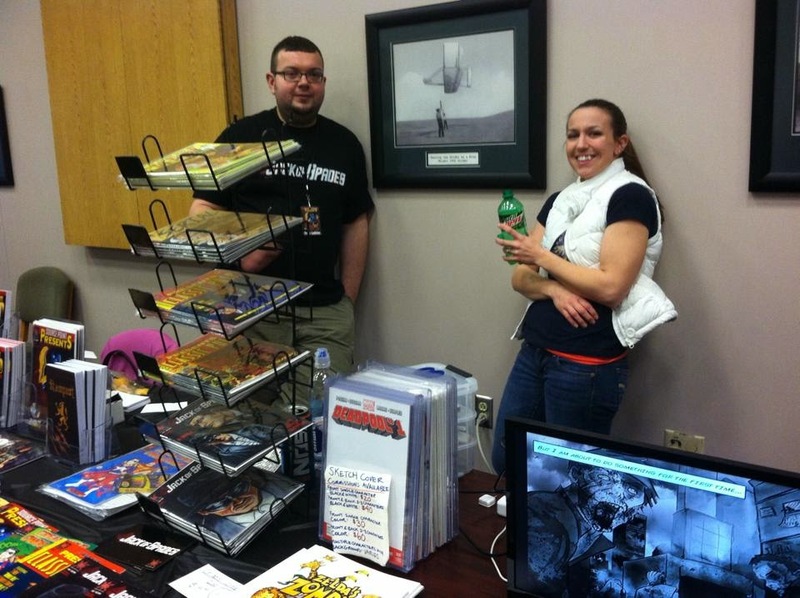 Each week the character or theme is chosen by a different MCC member, and then each artist in the collective draws that character. 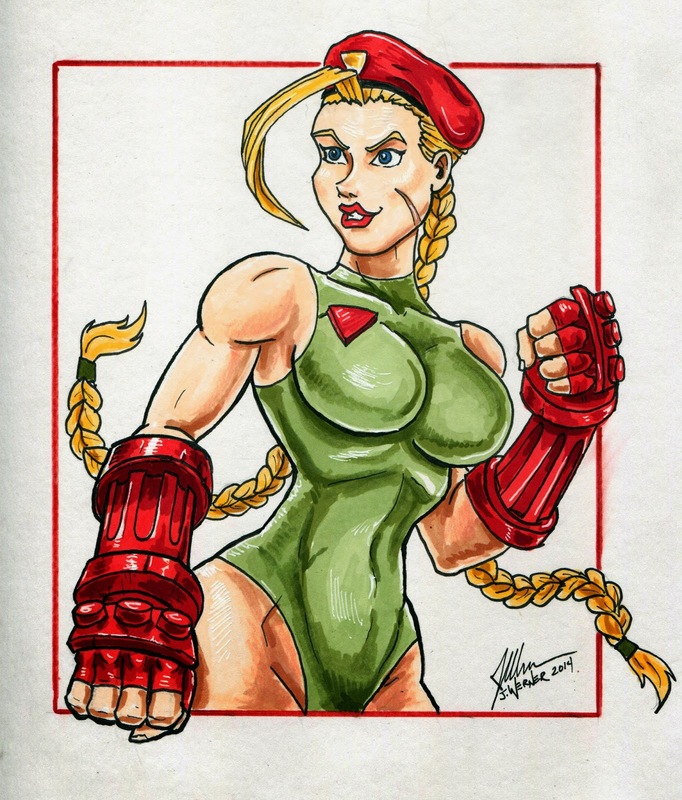 The first week's character was Cammy from Street Fighter. Here's the sketch I whipped up for it.